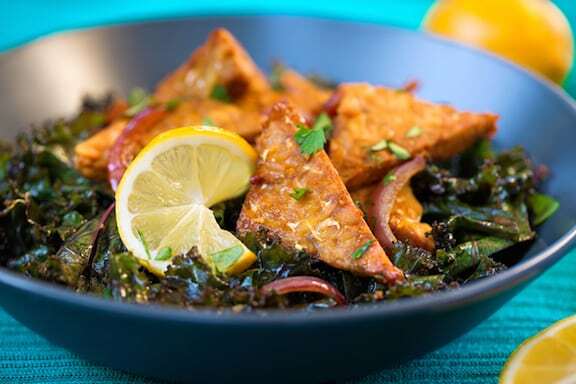 Here’s a simple recipe for tempeh that can be enjoyed year round — it’s baked in a tangy lemon-soy marinade. Delicious served on wilted greens. Contributed by Meg Wolff from her book A Life in Balance,* © 2010, Down East Books. Photos by Hannah Kaminsky. Cut the tempeh into large cubes, strips, or triangles. Combine all ingredients in a shallow container. Marinate for 3 hours. Transfer to a parchment-lined 9- by 13-inch pan and bake for 30 to 40 minutes, basting occasionally. 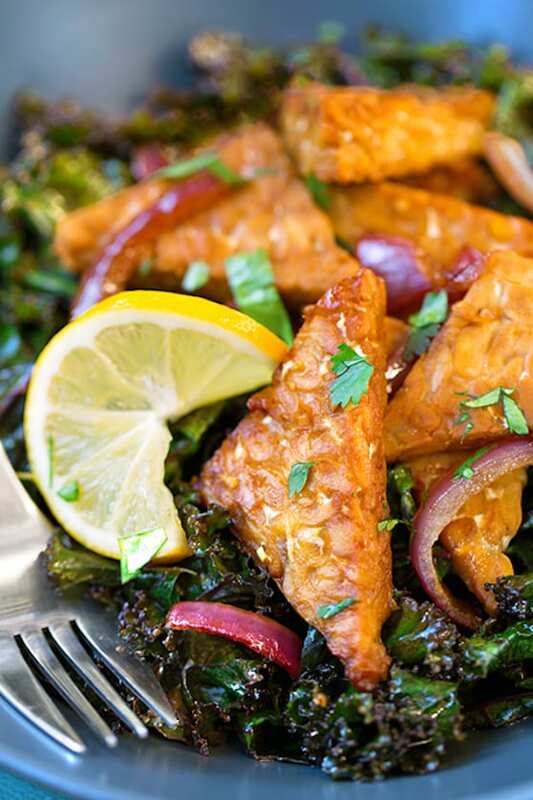 Tip: Before marinating the tempeh, place it in a saucepan with 2 cups of water. Bring to a boil, then reduce the heat and simmer for 10 minutes. This makes the tempeh softer and easier to marinate, though this step is entirely optional. 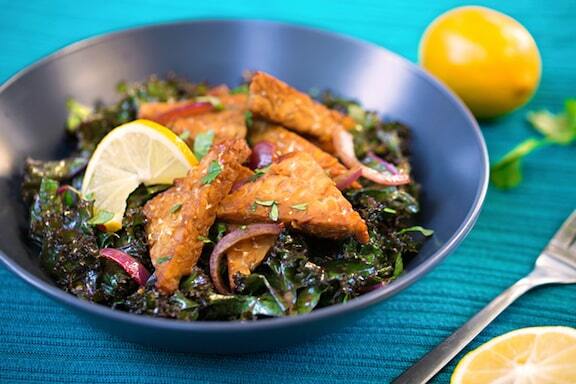 Here are more tempeh recipes.